Availability: Allow 4-6 weeks for shipping. 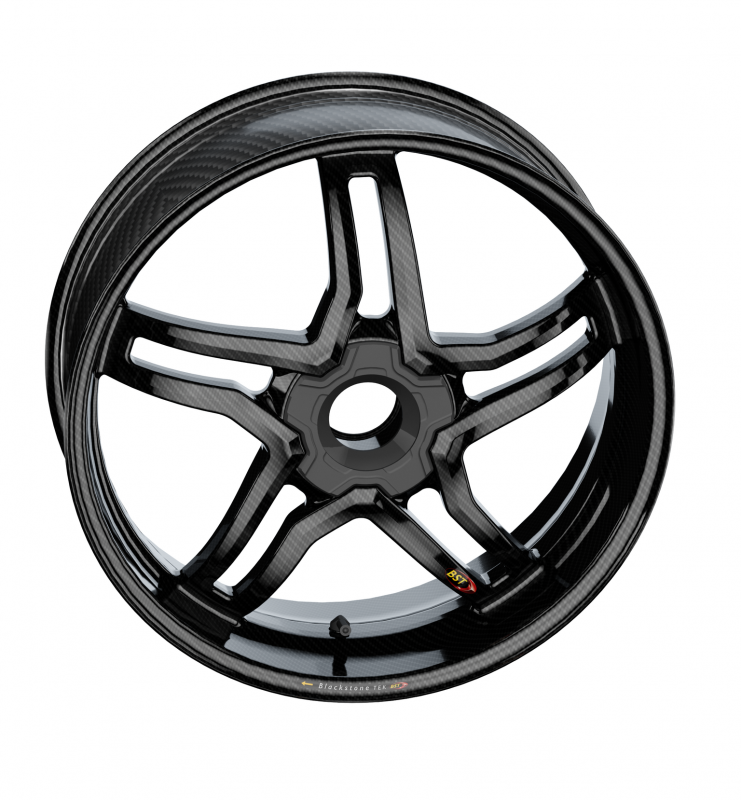 Single wheels are available upon request! 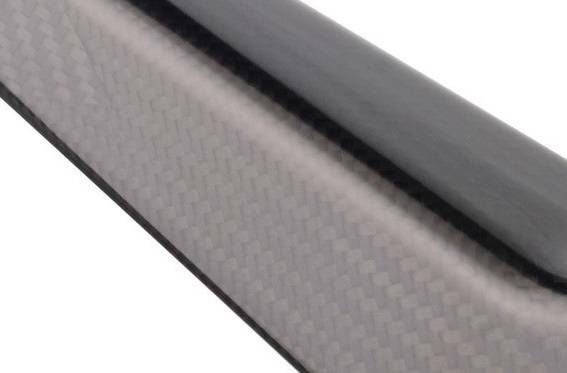 Allow 2-3 weeks for Matte finish. 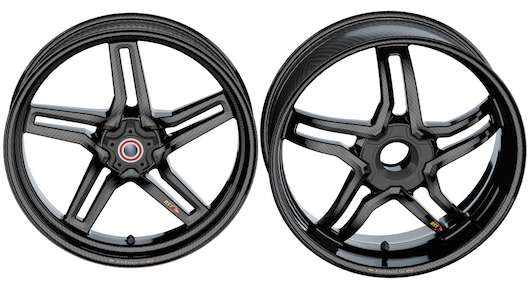 Very Important: Specially ordered wheels with custom colors or ceramic bearings cannot be canceled once the order has been placed. 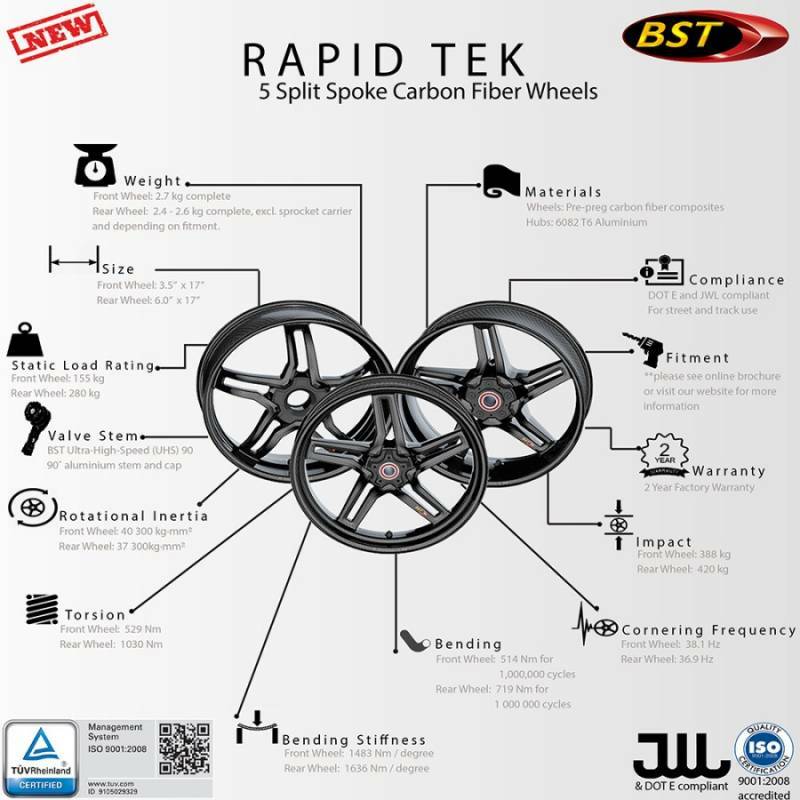 BST brings you the latest in design and technology with our brand new split spoke design. 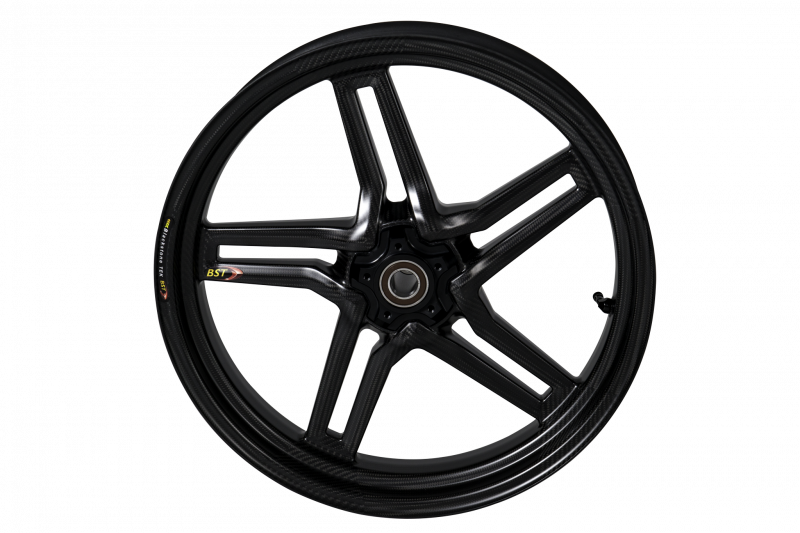 Showing leading innovation in the design and manufacture of pre-preg monocoque carbon fiber wheels with yet another design that is leading the carbon fiber wheel industry we present the best bolt-on performance part in the world. 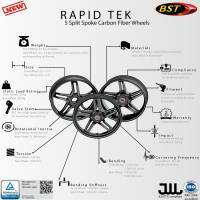 The elegant 5 split spoke Rapid TEK wheel personifies the slogan “Technology made Beautiful”. 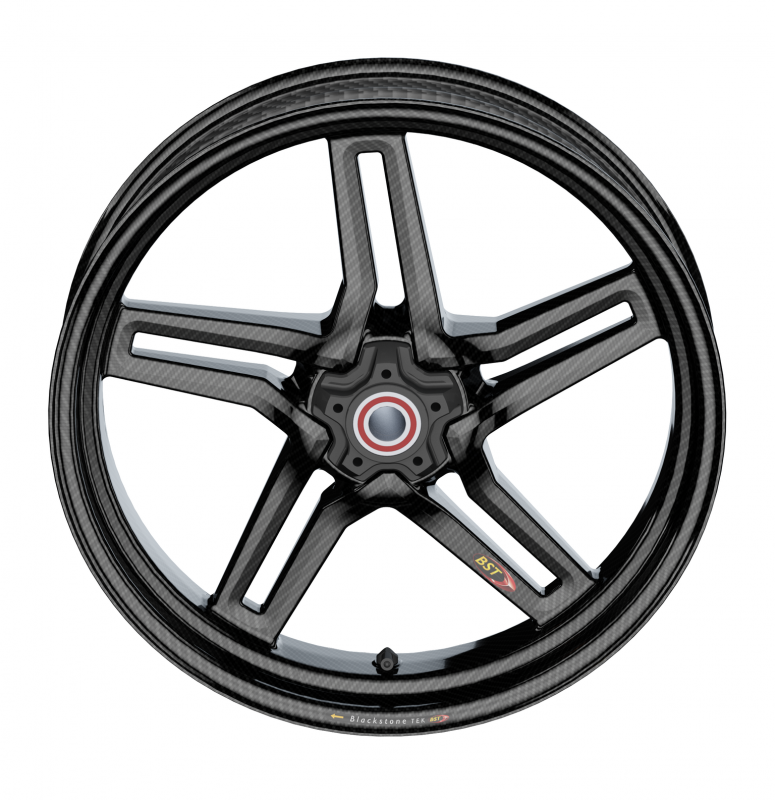 It has an edgy new look, and also showcases BST engineering with its super light weight and the unique high pressure forged carbon hub areas. It’s a direct replacement for the OEM wheels making it easy to use. 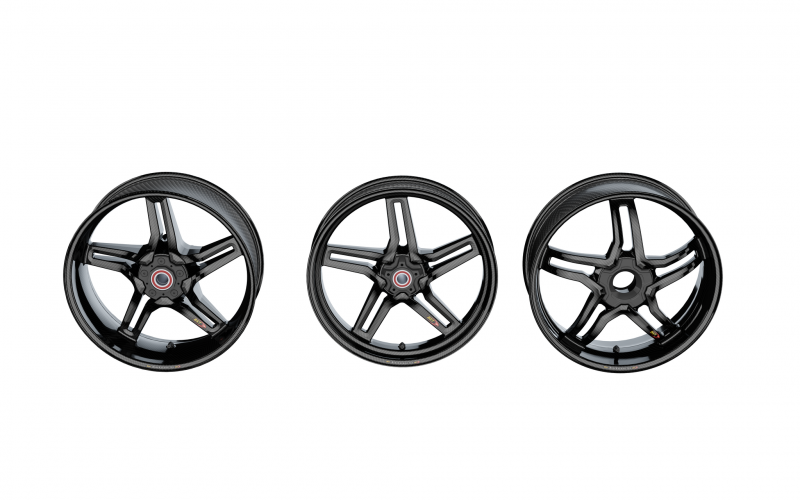 Produced by BST from concept to volume production, these wheels have been subjected to the same rigorous testing as all the BST wheels. 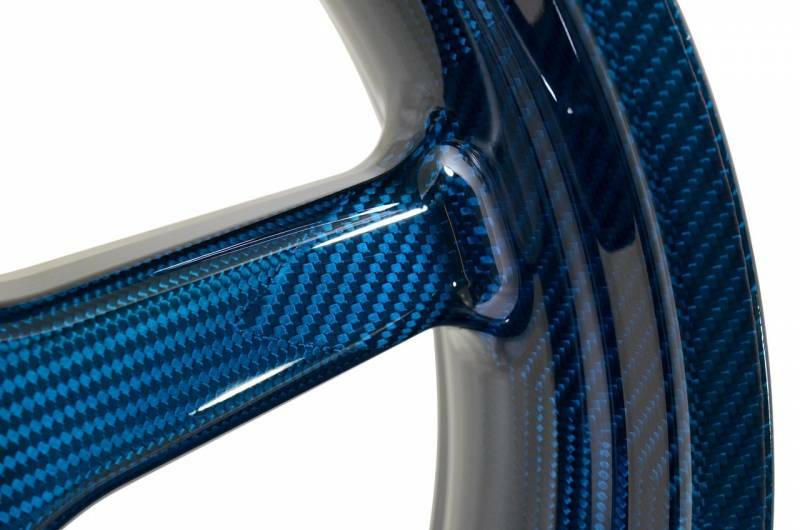 Our Rapid TEK carbon fiber conventional rear wheel offers interchangeable parts so that a rider can swap wheels when he changes his motorcycle. That’s a neat piece of engineering. 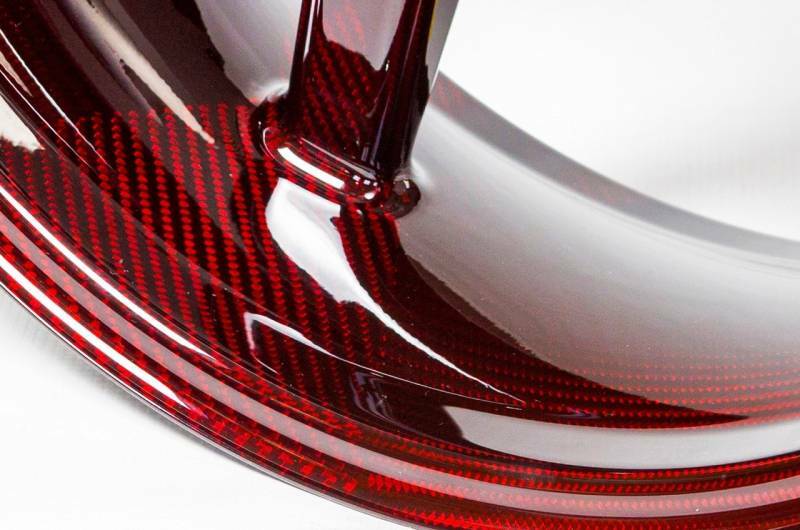 Get more bang for your buck with BST carbon fiber wheels – this is the best performance enhancer available for your ride. The reduction in weight and rotational inertia gives instant gratification in a significant performance advantage through improved handling, later braking and quicker acceleration. 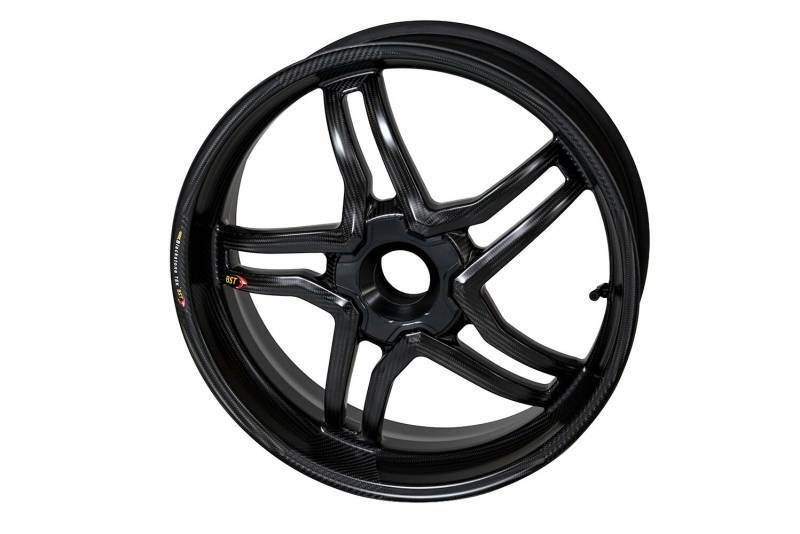 The enhancement to performance is greater than any other modification a rider could make to his motorcycle for the equivalent cost. 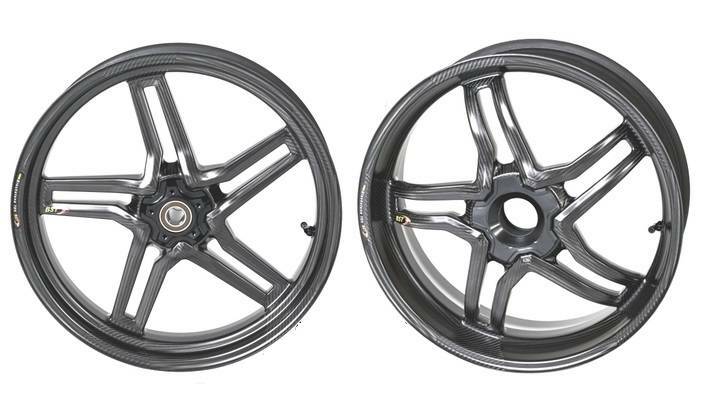 The additional benefit of interchangeable hubs also increases the life span and value of the wheels. 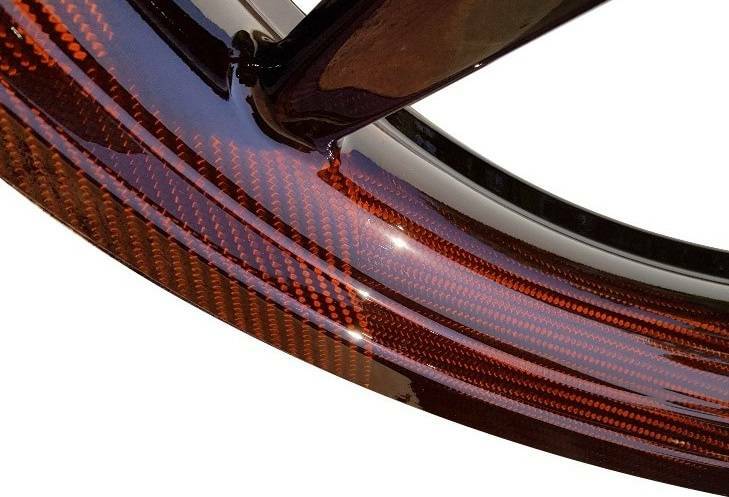 They are not only delightful eye candy, but are extremely durable. 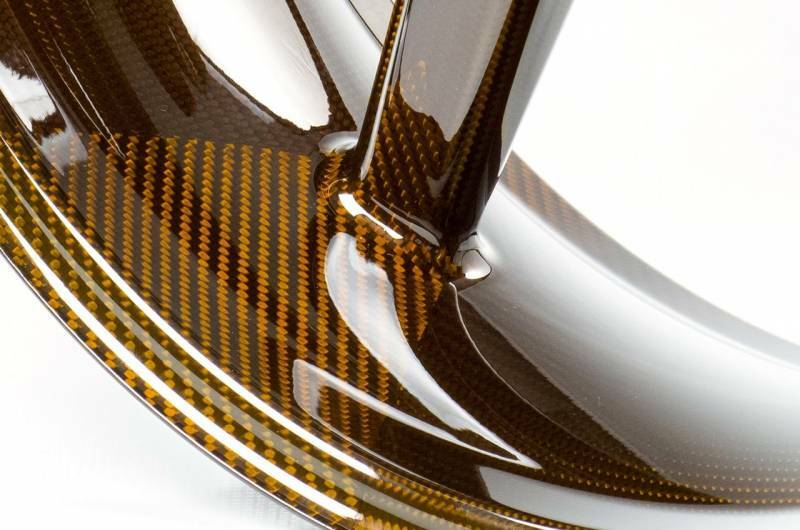 The strength to weight ratio of carbon fibre is well known and is utilised to its fullest by BST. We apply the most stringent testing standards to both our OEM and aftermarket wheels. 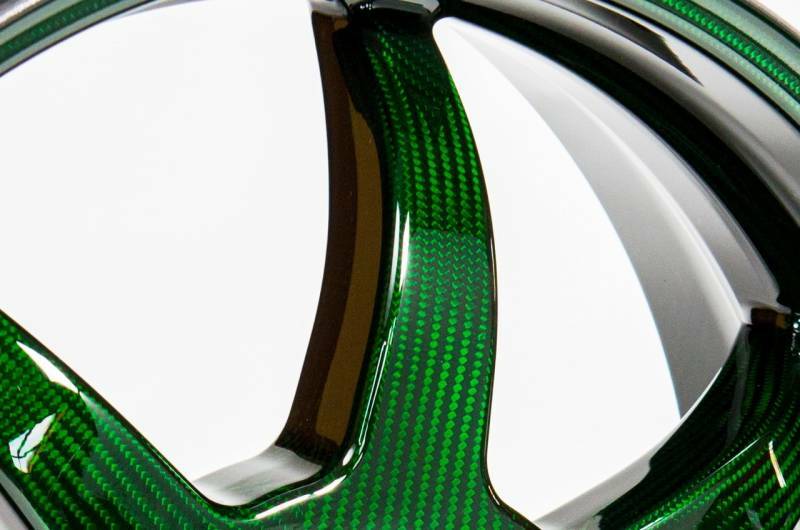 BST is the only carbon wheel manufacturer that is ISO 9001:2008 certified, audited by the German TÜV, and that adheres strictly to the JWL and DOT E specifications. Availability Remarks: Allow 4-6 weeks for shipping. Single wheels are available upon request!